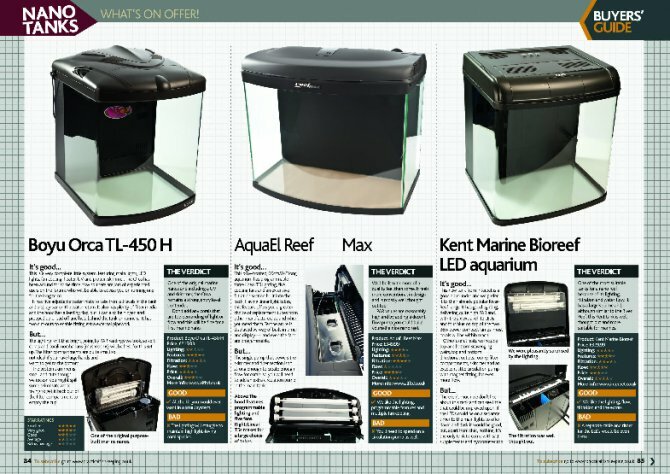 The September issue of Practical Fishkeeping features a buyer's guide to marine nano tanks. If you're thinking of stepping into the world of reefs and reef creatures, you might appreciate a helping hand when it comes to choosing the right set-up. In our September buyer's guide, Jeremy Gay looks at six marine nano aquariums ranging in price from less than £200 to over £600 and offers his verdict on what you get for your cash, along with some great advice to help you on your way. The September 2010 issue is on sale on August 4, 2010.